How To Legally Reduce Your Taxable Income? As important as education is, sometimes there is a huge gap in between what schools teach and what life demands. It’s almost funny how schools teach us so many things that we may or may not use in real life but basic life skills such as doing our taxes are completely overlooked. It is no surprise that tax filing season is a frenzy for so many people. There are so many different things to keep in mind it becomes very hard to figure out how to make the most of all government exemptions and save income tax. Before going into tax saving options and investments, first of all, it is important to understand the basics of income tax in order to know how much you’re liable to pay. 5. Income from business and profession if you’re not in a contract of employment, your earnings fall here. This includes entrepreneurs, professionals, and freelancers. The sum of your income from all the above heads is your gross total income. There is also additional health and education cess is 4% on the sum of total income tax and surcharge. So for example, the total taxable income for an individual in the financial year 2018-19 is Rs 8,00,000. This is how tax slabs shall be applied to him or her. 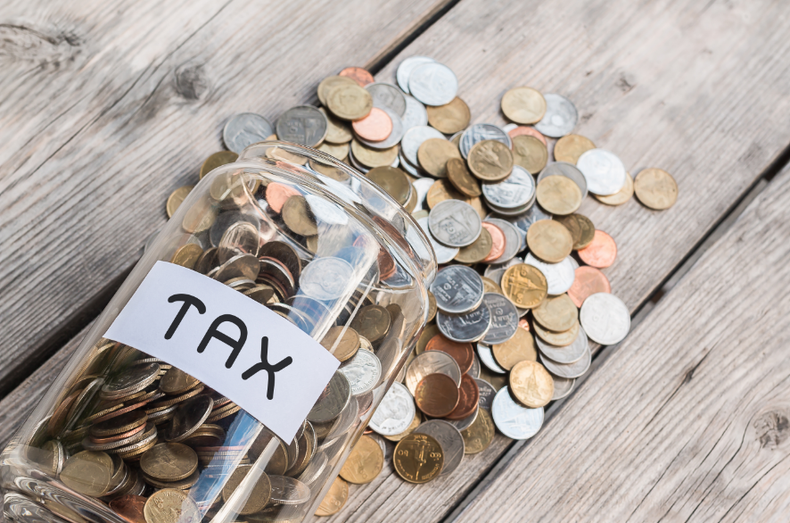 While this may seem like a whopping amount, there exist several exemptions and provisions by the government which can help you legally reduce your taxable income and hence save money on income tax. What are the best ways to Save Income Tax in India? The most popular tax-saving options available to Indians under the famous Section 80C of the Income Tax Act. Under Section 80C, you can claim a deduction of your taxable income by up to Rs. 1,50,000 in one financial year. This can be done through several long term investments such as a 5-year bank fixed deposit, public provident fund or PPF, Nationals Saving Certificates, National Pension Scheme and ELSS funds. Besides helping in tax saving, there are lucrative investment options offering returns up to 18% per annum. This section also covers amounts paid towards life insurance premium. You can also choose to as for an exemption to pay educational fees of 2 children up to Rs. 1,50,000. However, it is important to remember that no matter how many of these investments you do, the maximum amount that can be tax exempt is Rs. 1,50,000. So you have to plan it smartly. If you are wondering, How can we save income tax Apart from 80c? By buying medical insurance, Indian citizens can claim a reduction of Rs. 25,000 from their taxable income under the section 80D of the Income Tax Act. For senior citizens, the threshold is increased to Rs. 50,000. The income received as interest on your saving account at the bank is not taxable up to the limit of Rs.10,000 in one financial year. So for example, if you earned Rs.12,000 as interest from all your savings accounts, then you only have to pay taxes on Rs. 2000. Certain amendments introduced in the Finance Act, 2003, made income from maturity or claim of life insurance policy exempt from taxes. The only criteria for this is that the premium cannot exceed 20% of the sum assured. That is, if you paid Rs. 10,000 as annual premium, the sum assured under the policy needs to be at least Rs. 50,000 for it to be exempt. If it is below Rs. 50,000 then the entire income becomes taxable. Long term capital gains refer to returns on equity shares or mutual funds held over a period of one year. These returns are 100% not taxable. So for instance, you have invested Rs. 2,00,000 in the shares of a company and 11 months later, they become worth Rs. 2,50,000. If you sell them then, you have to pay tax on the profit of Rs. 50,000. However, if you hold on to them for one more month, the entire profit becomes tax free as it is after a year from purchase of the shares. This applies to mutual funds as well. When people invest in the equity of a company, the company shares profits in the form of dividends among all shareholders. Any income received from dividends is tax-free for the shareholder. Continuing the previous example, you have invested Rs. 2,00,000 in the shares of a company tax-free they give you 5% dividend that is Rs. 10,000 then the entire Rs. 10,000 is not taxable. On the occasion of a marriage, anything the bride and groom receive in the form of gifts is not taxable. This can be in the form or cash, cheque or kind. You do not have to pay any taxes on it. Also, India does not have any inheritance tax so anything you inherit from your parents or family members upon their demise through their will is not taxable for you. Under the section 80G of the Income-tax Act, donations made to certain specific charities or funds can be deducted from your taxable income. As proof of donation, you must make sure it is a registered charitable organization and retain the stamped receipts of the investment. If you live in a rented space and have rent receipts from the owner, you can claim housing rental allowance or HRA to save tax. This is applicable only if you are not owning any house near to your office and your office provides rental allowance as a part of your package. If not, the nontaxable amount is either the actual rent paid by you for the house, minus 10 percent of your salary or 50 percent of your basic salary (for a metro) or 40 percent of your basic salary (for non-metro), whichever is lesser. Provident funds are an excellent investment because firstly you don’t have to pay taxes on investments in Employee Provident Fund or Provident fund in the year of investment. Secondly, the interest received on your investments is tax-free. However, you should note that you have to keep your Provident Fund active for at least five years before you start withdrawing money. Here's Why You Shouldn't Withdraw Your PF! Under the Section 80E of the Income Tax Act, any expenses you incur for interest paid on education loan is also non-taxable. There is no upper threshold to this amount. You can claim this deduction for yourself or your dependents, that is your spouse or your children. You can avail a tax benefit on your conveyance up to Rs. 1600 per month or Rs. 19,200 per annum. There is no need to submit any bills or proofs for this. Some companies provide a daily travel allowance to their employees commuting by car or bike. If that is the case with you then you can submit original fuel bills to get the benefit. The amount varies based on the vehicles. Medial expenses up to Rs. 15,000 for yourself and your dependents, i.e. parents, spouse, and children can be used to save tax. However, you need to keep the receipts for these expenses to serve as proof of the amount. Using these simple provisions and exemptions provided by the government, you can find a drastic difference in the amount of income tax you pay. Start saving now! Hhema Sistlaa. Hv you checked for TDS deduction from the commission you get from your company. Because I'm an insurance agent and I get my commission after the TDS is deducted. I am a marketing agent in 4life US based company. There is no regular income to me. When I sell company product then only I get money in commission form. Every month I won't get money. Sometimes 10000 and sometimes 18000 depending on product selling. This month I earned 3500 approximately after selling 30000 worth of products. My doubt was how can I pay income tax.